It has been on my 'wanted' list for over a year: a smartwatch. The last months, I have had many chances for buying one. Nevertheless, it's only on my wishlist, not on my wrist. Why? I don't want to buy just any smartwatch, I don't want a cellphone on my wrist. I want a watch, that is also smart. Too bad, this is in contrast with today's try-outs of many brands (The Pebble, Sony Smartwatch, Samsung Gear ...). They have many technical issues (bad battery life, only compatible with some devices, too basic ...), but most of all, they don't look like real watches. In my opinion, a smartwatch needs to start with the essential: being a watch, telling you the time. Next to that, it should support you during your (busy) days. Keeping your schedule, keeping you up to date, keeping you on track. A couple of days ago, Google launched 'Android Wear', an OS for smartwatches. And however it seemed like something for the future, Motorola already took it to the next level two days ago. 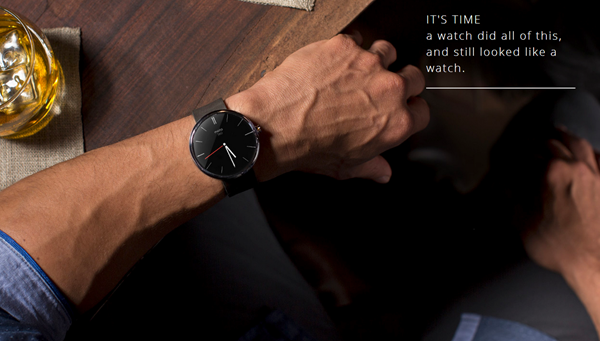 Enter the Moto 360, a watch that seems to be smart. The concept videos are promising, but we will only know if Motorola can keep up it's promises during the summer. My birthday is the 30th of July, can I finally scratch 'smartwatch' of my wishlist then?